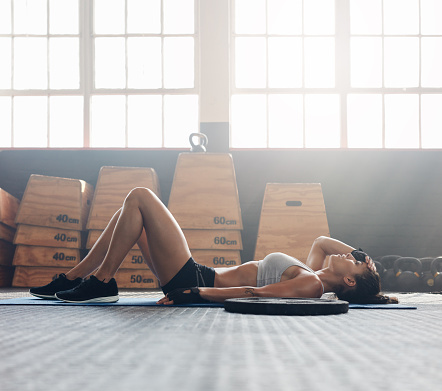 Muscle fatigue is something that we can all experience and while it may be a minor nuisance in many cases, there are situations where a person has difficulty recovering from muscle exhaustion, thus requiring medical attention. Knowing the causes, signs, and symptoms of muscle fatigue can be helpful in determining treatment methods and whether you need to see a doctor. Physical exertion is good for us, but sometimes we can push it too far and as a result we experience muscle fatigue. What is muscle fatigue? It is generally defined as a decreased ability to perform muscle actions. If you have muscle fatigue, you will likely have a hard time getting a specific muscle to continue working, even if you attempt to change the type of activity you are trying to engage in. What are the causes and symptoms of muscle fatigue? As far as what causes muscle fatigue, there are a number of physical, environmental, biochemical, and nutritional factors involved. Some physiology experts suggest that a failure of the nervous system to communicate with muscle tissue or issues with metabolic processes are causes of muscle fatigue. Reduced activity: Some people can feel a lack of energy and find it difficult to finish activities. This kind of muscle weakness may be due to inadequate blood flow to the extremities. Note that this could be a sign of high blood pressure or a heart condition as well. Myasthenia gravis (MG): This is a neuromuscular disorder that leads to weakness in the skeletal muscles. MG happens when communication between nerve cells and muscles becomes impaired. It is a rare condition that affects 14 to 20 out of every 100,000 Americans. There are various signs and symptoms of muscle fatigue. The most common complaint from sufferers is weakness. Many people describe it like feeling as if their legs are made of spaghetti. Others simply say they feel like they can’t support their own weight anymore. Muscle fatigue symptoms also include twitching or jerking, which are caused by nerve impulse signals sent from the brain. A weak grip or trembling can also be symptoms of muscle fatigue. In many cases, a weak grip and/or trembling is a sign that you have pushed your muscles too far. When it comes to myasthenia gravis, there are certain signs and symptoms to look for including the following: Weakness, trouble talking and walking, difficulty breathing, difficulty swallowing or chewing, double vision, drooping eyelids, and facial paralysis. Myasthenia gravis is usually connected to an autoimmune problem. Autoimmune disorders occur when your immune system starts to attack healthy tissue. In the case of MG, antibodies, which are proteins that attack harmful substances in the body, start to attack a neurotransmitter substance called acetylcholine. This substance is vital for communication between nerve cells and muscles. While we can’t say for certain why this happens to some people, experts with the Muscular Dystrophy Association have a theory that viral or bacterial proteins may push the body to attack acetylcholine. Because your muscle fatigue might be caused by a variety of factors, understanding those factors can help determine your overall physical health. Since muscle fatigue may also be a symptom of illness, knowing all the signs can be really helpful. How to treat muscle fatigue? Bromelain: This is an enzyme found in the stem and juice of pineapple. It is thought to be an anti-inflammatory and muscle relaxant. Bromelain supplements or a topical solution are options for muscle fatigue. Peppermint oil: The herb has soothing, pain-relieving qualities. People generally apply peppermint oil topically to sore muscles. Devil’s claw: This oil, which is named for the appearance of its fruit, has an ingredient that is said to reduce arthritis pain when it is used topically, but it can also reduce muscle pain when taken orally. When thinking about how to recover from muscle fatigue, you should also consider re-introducing exercise. In many cases, people are eager to get back to their normal exercise routine and their normal activities. Once your muscles feel stronger, remember to introduce exercises gradually to avoid reinjuring yourself. Sometimes the best approach is to begin with gentle activities, such as walking and swimming. If your muscles can handle the activity and there is no fatigue or pain, then you can move on to more intense activity. If you experience extreme muscle fatigue and it isn’t getting better, you should see a doctor to rule out any serious health issues.